Disney Interactive Announces 2 New Playable Characters in 2.0 Edition of Disney Infinity - Mamanista! Get excited Disney Interactive fans! 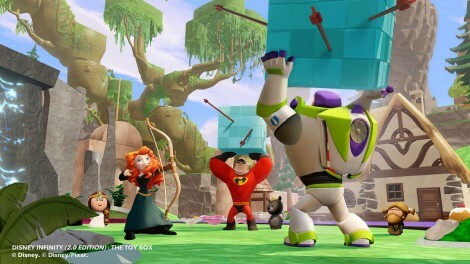 Disney Interactive officially announced the latest playable characters to appear in the 2.0 Edition of Disney Infinity – Merida and Maleficent!! 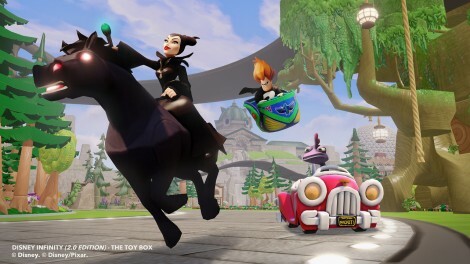 Merida and Maleficent are playable in the all-new Toy Box 2.0 mode of the game, along with all characters previously released for Disney Infinity. Players will be able to use both characters, plus hundreds of Disney-themed items, locations, props and vehicles, to create new adventures in customized worlds. 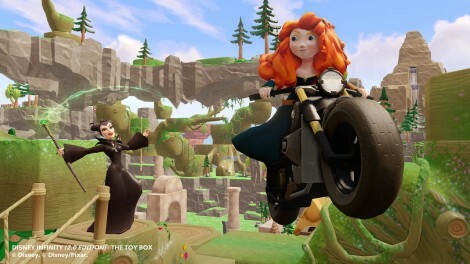 Merida: With her untamed fiery red locks, this headstrong Princess will definitely leave her mark in Disney Infinity. Between her sharp sword and bow combo attacks with ricocheting arrows, she can upgrade her aim with elemental freeze arrows, freezing enemies in front of her then following up with rapid shots showing off her impressive athletic skills as an archer and sword fighter. Maleficent: The wicked title character from the upcoming Walt Disney Studios film employs numerous magical powers and can attack using her magic in melee and ranged combat. To defeat enemies, Maleficent has the ability to utilize projectile and area of effect attacks that affect multiple targets within a specified area, brambles that she summons from the ground and ravens that she can call on to attack targets. Both Merida and Maleficent will be available in retail stores this fall. Additional Play Sets and characters will be announced in the coming months. For additional information, please visit www.disney.com/infinity and www.youtube.com/disneyinfinity, join the Disney Infinity Facebook community, Google+ community, follow us on Twitter and Instagram.